October is always an exciting month – but you best be prepared for the horrors of spending Halloween in Nottingham! There’s no better place to be than the city at this time of year as the ghosts, ghouls and ghastly creatures emerge from their hiding places. Each year in Nottingham you can expect to be able to visit haunted hotspots, creepy caves and learn about terrifying tales of murder and mischief. Not got plans for Halloween yet? There’s always plenty of horrible history to hear about at the Galleries of Justice Museum. Or why not try a Ghost Walk? If you dare. 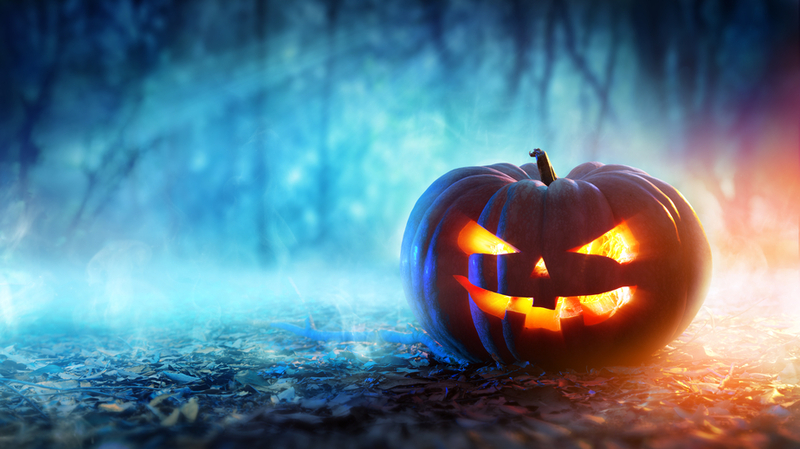 Visit the Experience Nottinghamshire website for a full list of spooktacular events coming up. If you’re living off campus you may find some trick or treaters popping along to your door, so make sure you’ve got some sugary treats ready for any little visitors. You may be a big Halloween fan and have decorations at the ready, but please remember to keep your tenancy agreement in mind before getting started on transforming your accommodation into a haunted house. When hanging up your essential fake bats and spiders you may be tempted to put pins in the wall, but this could breach your contract and mean you’ll get less money back from your security deposit. There’s no harm in putting out some pumpkins and leaving some fakes spiders on the landing, but any decorations that could leave a permanent mark will affect the return you get from your initial security deposit. Check your friends are happy with your decorating ideas before you put anything up and make sure it’s fine with your tenancy provider. If you’re having a Halloween party, don’t forget to let your neighbours know to avoid any disagreements and keep the noise to a minimum when it gets late. Enjoy your Halloween everyone, we hope it’s ghastly!